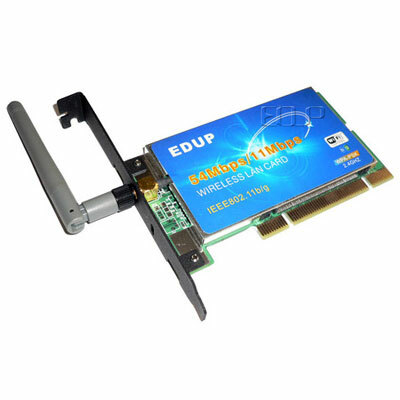 The 54Mbps Wireless Network PCI Adapter is fully compatible with IEEE 802.11b and IEEE802.11g standards. 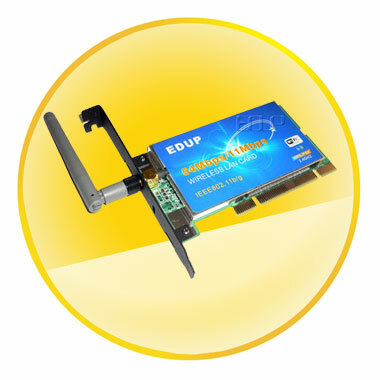 Its auto-sensing capability allows high packet transfer rate up to 54Mbps for maximum throughput, or dynamic range shifting to lower speeds due to distance or operating limitations in an environment with a lot of electromagnetic interference. 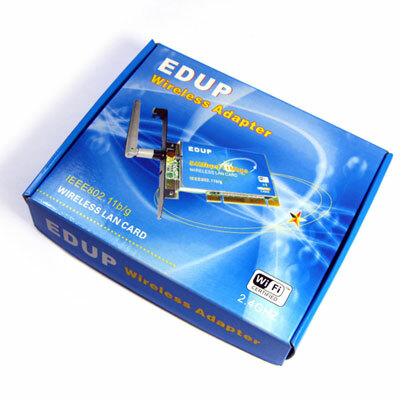 It can also interoperate with all the 11Mbps wireless (802.11b) and the 54Mbps wireless (802.11g) products. Transmission Distance: Indoor up to 100m, outdoor up to 300m (Standard transmission distance, it is limited in an environment).